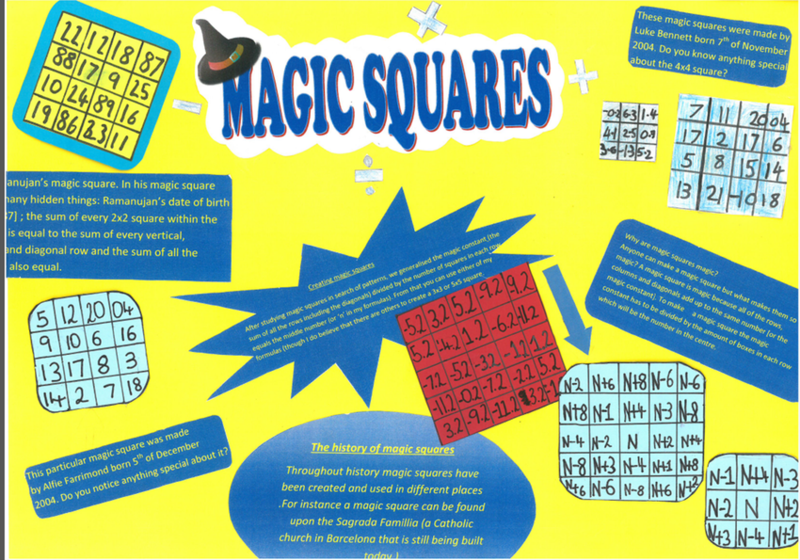 Congratulations to Jude, Alife and Luke for winning the inaugural Exeter Maths School Year 6 Poster Competition. There was almost 250 entries so this really is an achievement. The judging panel was made up of some of our Year 12 students. They chose the winning poster for several reasons: the general formula, the birthday squares and the negatives and decimals. They also gave extra marks for the students using their own words. What's more, the second prize goes to another Okehampton team: Millicent, Harrison and Kieran! The judges were impressed by the artistic and creative aspect of this poster (particularly the Christmas square) and they also appreciated the detailed facts and good use of instructions.